In the West, Islam has replaced Communism as the new bugbear, while Sufism, Islam�s mystical dimension, is often dismissed as the delusions of an irrational and backward people. 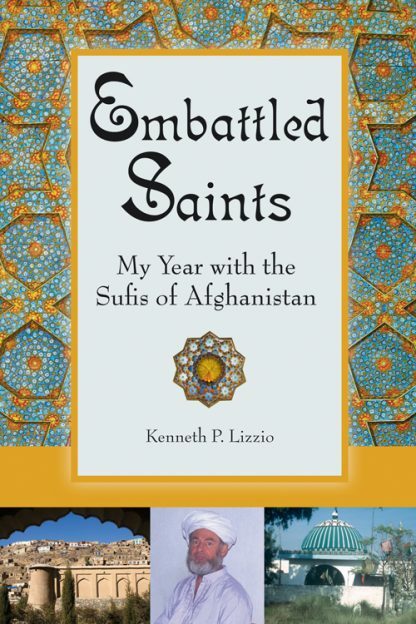 Ken Lizzio corrects such misperceptions in this firsthand account of the year he spent in 1991 living with the head of the Naqshbandis, Afghanistan�s largest Sufi order. He presents the order in all its dimensions�social, economic, political, and spiritual�at a pivotal moment in history. He also gives a rare glimpse of everyday life in an Afghan Sufi school and of how the school has coped with the upheavals in its country. Poignantly, the Naqshbandi way of life faces threats to its very existence. One threat lies in the creeping secularization of Islamic society, another in the dismissal of Sufism by various fundamentalist Islamic sects claiming the franchise on truth. But historically, Lizzio points out, Sufism has always been Islam�s wellspring for spiritual revival. And because Sufis deal in matters that transcend time and cultures, they help outsiders understand not only the true nature of Islam, but the deeper meaning of all religions. The sound of that meaning echoes throughout this eloquent and fascinating memoir. Kenneth P. Lizzio is a specialist on Islam and holds a Ph.D. in Near Eastern Studies from the University of Arizona. He has taught anthropology at Winthrop and James Madison Universities. An international development specialist as well, he has served as democracy officer for the United States Agency for International Development in Rwanda, Indonesia, Macedonia and Guyana and held other posts in the Middle East and Africa.